Everyone wants to compare any up-and-coming tech city in the world to, “The Next Silicon Valley”. That idea is dead on arrival, yet we’re seeing many a reference to it in the media for places like Nairobi and Cape Town. Yesterday I spoke at Mindspeak, a monthly meeting in Nairobi where people in the business and tech fields talk about what got them to where they are. During the Q&A session after I spoke there was the recurrent question and comparison between what we’re trying to do with the iHub and how we see the increased critical mass in the Nairobi tech space, and if that was going to make us the next Silicon Valley. That’s the wrong model for us. Instead, we should look closer at the Israeli model. Israel already has a culture of innovation and entrepreneurship, which leads to a strong startup culture. Due to geographical and political constraints, startups that create high-tech products and services are forced to look at their growth strategy early on. When a company starts gaining traction, they spin out their executive and parts of their operations to places like Silicon Valley, New York, Cambridge, etc, while maintaining parts of their operations in Israel. We’ve seen the same with a South African tech firm. Yola (old name: Synthasite) moved first their executive team, then part of their operations, to San Francisco. Shortly thereafter, they raised an amazing $20m. Of course, the Israeli Model, requires more than just up and moving half of your startup to Silicon Valley. That’s a simplified formula. However, it does serve as an indicator for what we should be looking at here. Instead of trying to grow the same ecosystem that took decades to develop in California, we should look at what works for us. A network of investors, mentors and connectors in the bigger tech hubs of the world that help incoming African tech companies and help them take the next step. Most of these should be well-placed African diaspora. A policy and legal framework in African countries that allow them to build and succeed/fail quickly so that they can take that next step globally. Seed capital and incubation options for early stage prototypes and business testing in-country. Teach entrepreneurship and leadership within the education system, especially at the university level. You’ll note that none of these items can be done by just one entity, it takes a concerted effort by multiple parties, including investors, academia and government in order for both a high-tech startup culture to come into being and for success beyond a countries borders to take place. Certain cities in Africa have the ability to pull this off, including Nairobi, Johannesburg, Cairo, Accra and Lagos. Others have a chance too, but these 5 have the critical mass that makes it more possible, though none of them are there yet. Excellent, accurate and succinct. I would put the most emphasis on point two, as this works for entrepreneurship broadly as well. Thanks for the post, great insight on the two models. With the Silicon Valley model out of the question that leaves the latter. When I look at our business, a software services start up in Jordan, I already see my limits to growth without a presence closer to both investors and, in my case, clients. I think there may be a third model for markets like Kenya and Jordan. Executive presence in an established market, but a global web of small agile development and localized marketing teams. Excellent article and very good timing. (I was thinking hard about this very topic after reading last Thursday’s Business Daily article on Kenya becoming the next Silicon Valley.) It’s frustrating to see so many individuals dwell on a past model for success that doesn’t properly apply to the African continent. Bottom line: different factors and histories are converging now in Africa than during the rapid-growth years of Silicon Valley, California. The exact replication of theSilicon Valley is impossible, but like you suggest, the principles are still valid. Finally, it’s great to see technological excitement spread through cities like Nairobi and Lagos, but everyone has to remember that the success of Silicon Valley was decades in the making (and relied on a strong university for engineers). Great article! I have just attended the GTS Global Technology Symposium 2010 in Silicon Valley. Great event that featured the most influential Silicon Valley venture capitalists. My takeaway … perseverance … any good idea will find itself booming as long as the right amount of effort is applied to its realization. And of course, luck is always a part of the equation. I have a slightly alternative view on this and that is that we’re focusing on the wrong industries. At the moment it is “hip” to start up some kind of tech fund of some description or another and toss a few bucks to the start-ups. We accept 90% failure rate and we write them off as “well tried”. Each start-up employs say 1 – 5 people and they make a few bucks out of it before it goes belly up. Government on the other hand is pushing these “community” projects which see people starting basket making businesses which are going to be peddled to tourists coming through Soweto. With due respect neither of those “models” are sustainable. This infatuation with all things tech at the moment is great from a “community” perspective and ideas sharing but seriously it is a low impact sector in the South African context. It has only been in the last few months we’ve started throwing some money at things like agriculture. Tech is great but it has some serious shortfalls as well. …The terms Silicon Valley,Alley and other variants actually exist in every nerds head regardless of geography. make it happen-from mind to matter and Alohanani? it’s you and you’ve just changed the world by creating your own ‘Silicon whatever-you-want-to-call-it-wherever’. 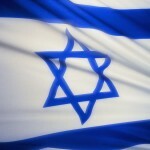 Israel the Right Model for African Startups?